Don’t bogart that spoon, man. Lemme get a hit off that cone, dude. Pass the bowl … of ice cream? 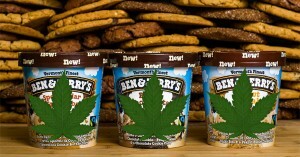 Could Ben and Jerry’s, the counterculture snack empire gone mainstream, be planning a marijuana-infused ice cream? “Makes sense to me. 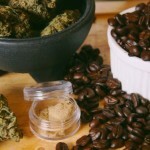 You know, combine your pleasures,” co-founder Ben Cohen said in an interview with HuffPost Live that’s been buzzing among marijuana aficionados since it aired last month. Like attitudes about marijuana itself, the story went mainstream this week. 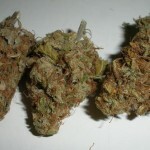 Marijuana is becoming more mainstream, too. Four states have legalized the recreational use of marijuana, and attitudes nationwide have been changing in favor of marijuana, which remains banned by federal law. In January 2017, a CNN/ORC poll found that 65% of Americans favored the legalization of marijuana. Only 16% thought that in 1987, CNN reported at the time. In Colorado, where recreational marijuana use is legal under state law, edibles containing weed now make up nearly half the market for pot products, according to the Denver Post. Alas, pot fans, Cohen and Greenfield no longer control the company. They sold it to Unilever Inc. for $326 million in 2000.